If rock ‘n’ roll and classic motorcycles are your cup of tea then take a trip to the Rockers Revival #2. 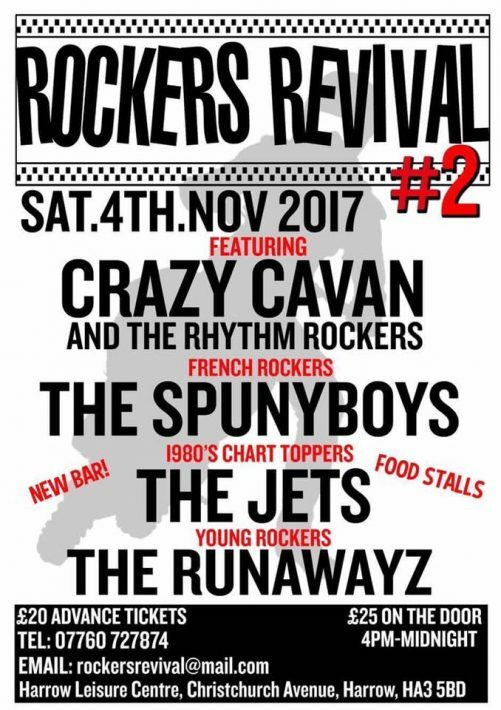 Kicking off at 4pm, the event has an amazing line up including Crazy Cavan and the Rhythm Rockers. 80’s chart topped The Jets are also performing too. There will be loads of bikes on display, and all the fun lasts until midnight! Tickets cost £20, or £25 on the door. The Rufforth Autojumble takes place on the first Saturday of every month with doors opening at 8am. The family run business has been established for over 35 years and has over 350 pitches of trade stands and much more for you to take advantage of. It costs only £2 per person, children under 12 go free! The Ring of Red is back for another year on Sunday 12th November. There’s no start or finish point to the ride, you can join at whatever point of the M25 or M60 is closest to you. The aim is to form a circle of bikers dressed in red riding clockwise around the M25 and anticlockwise on the M60. The 2017 chosen charity for the Lee Rigby Memorial Ride is the Armed Forced Bikers Charity. 100% of donations received will go to supported the charity providing ex-service personnel the support and help they need. It’s back again for another year, the Macau GP will dominate the streets of China for some epic racing. Open from 8am on Saturday 18th November, over 100 acres will be covered with all things bike related. If you’re in the market for something specific or just fancy a ride out, there’s free parking on site too. 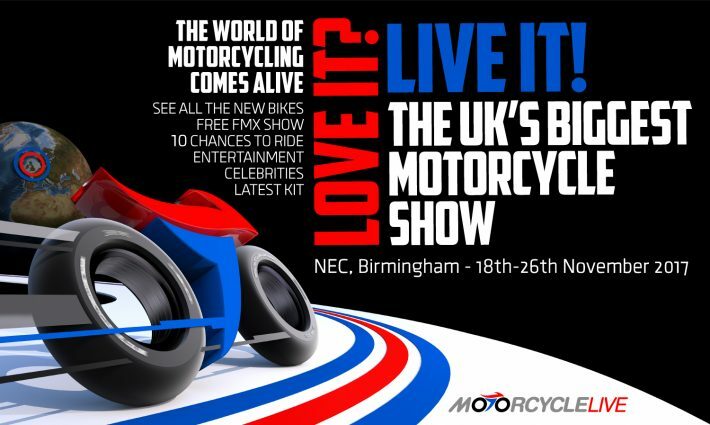 Motorcycle Live is back for another 9 days full of bikes, bikes and more bikes! Check out all the latest releases, grab yourself some new kit and watch one of the many exclusive interviews or shows. Tickets are on sale now and can be purchased on the door. Come and check out the Devitt stand (Stand No:4A15) and have an exclusive play of the brand new TT Isle of Man game! Lover of classic motorcycles? Be sure to check out the ‘Normous Newark Autojumble this November! There will be a large number of classic cars and motorbikes on display on the day, along with refreshments and free parking. On the day you’ll be able to source much-needed parts, restoration service advice and much more. Open from 10am, admission cost £7 and children under 12 go free. The final Classic Car and Bike autojumble for 2017 is here. Head to the Three Countries Showground for a brilliant day of fun for the whole family. You can check out the trade stands and autojumble stalls, hopefully you’ll find that hidden gem you’ve been looking for! Tickets are £7 and £2.50 for kids. Live near Windsor? 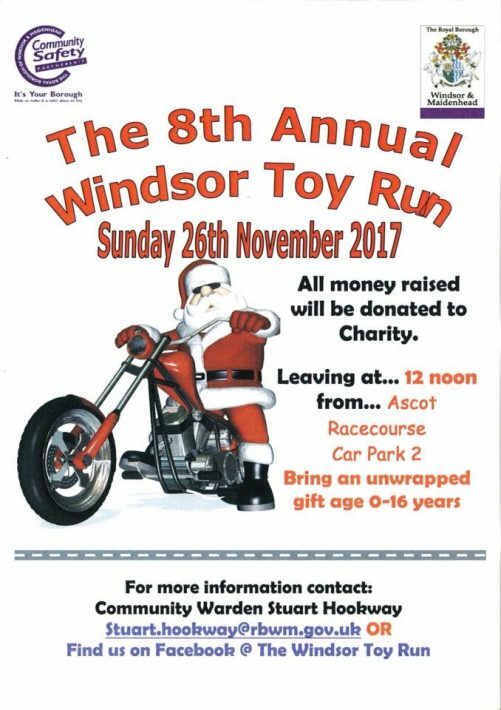 Why not take part in the 8th annual Windsor Toy Run this month! All money raised is donated to charity, and it’s great chance to get out for a ride with a good cause. If you’re taking part in the ride out then it’s requested that you bring a unwrapped gift aged for a child between 0 – 16 years old. The route starts from Ascot Racecourse at 12pm on Saturday. You can find out more information via their Facebook page! Are you attending any biker events this month? Share them in the comments below and we’ll add them to our guide!